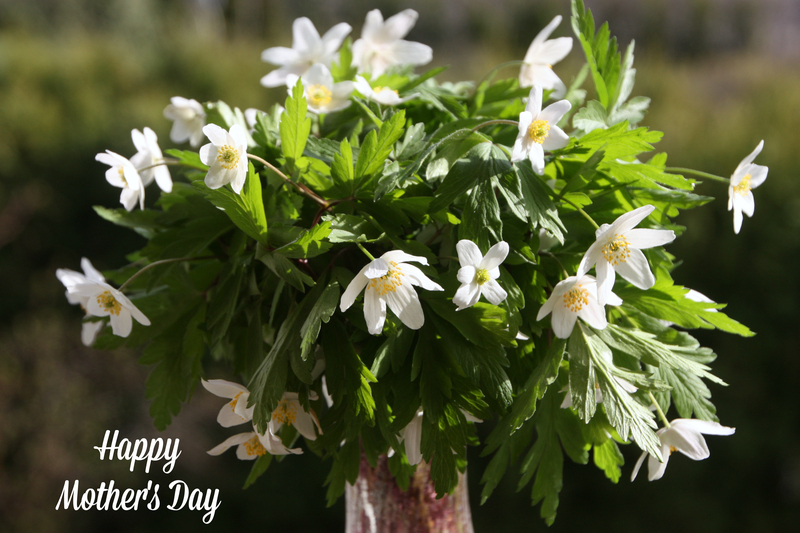 It’s the second Sunday in May, celebrated as ‘Mother’s Day’ in Finland. A bitter-sweet day for me for several years now, ever since our only daughter moved abroad to study, and then stayed on for a couple of ‘gap years’, working in Asia. Still not back this year either although, hopefully, we will enjoy a visit later this month, at last! This year, to celebrate Mother’s Day, I decided to reminisce on the generations of mothers and daughters in my family. It is often stated that your mother is your first love, your first friend but also your first enemy. I think it’s undeniable that these female family bonds are strong, and have a profound effect in shaping our lives. 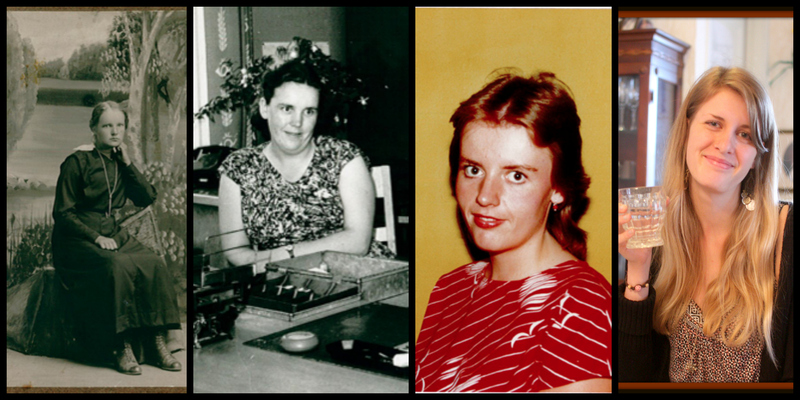 Here we are, four generations of women, starting with my grandmother Linda, then my mother Mirja Helinä, then me Päivi Sinikka, and finally my daughter Riikka Rosalinda or Rosie. Originally, I suggested we should give our daughter the name Linda, after my beloved grandmother. My husband wasn’t too keen on it, though, but then, luckily, from a children’s picture book, we came across Rosalinda (Spanish for ‘beautiful rose’). Is there any resemblance between us? I can’t tell but seeing old pictures, friends say they can notice many similarities. The sad thing is that Rosie never met her maternal great-grandmother, nor grandmother. It was about a month after my mum’s passing away that I realised I was pregnant. Such a pity, as all of us missed out on a lot. My mum would have loved and spoiled Rosie to bits, and I missed sharing the ups and downs of motherhood with my own mum. I used to feel that my experience of a significant birth and death intertwined withing one year of my life was nature’s way of replacing a missing piece, making sure that the female family genes were passed on down the line. My grandmother – or ‘mummi’ as we used to call her in Finnish – was the sweetest and most even tempered old lady I’ve ever known. I’ve often thought how she managed to keep herself so calm and friendly, despite her unpredictable, grumpy and bossy policeman husband.The old sepia picture of her has been printed on a thick, cardboard-like surface. She looks young and innocent there, probably not yet married, somewhere in the first two decades of the 20th century, her gentle and compassionate nature shining out even from that old photo. I wonder what the occasion of this picture was, and why they’d placed her sitting on a suitcase? Crazy to think that she spent her childhood and youth in the time when Finland still was an autonomous Grand Duchy of Russia. She was 17 when our country gained independence. My grandparents lived in the east, close to the Russian border, while our home was a 6-hour-drive away in the west. Sometimes poor mummi used to take the train, and come and stay with us for a few months when, I gathered, she simply had had enough of granddad’s antics. Those were the loveliest times for me and my two brothers. There was always somebody to welcome us from school, as both our parents worked long hours. And more often than not mummi would have baked something nice for us kids to eat. I also loved the evenings when mum and mummi had their long women-to-women talks, and I, pretending to read on the couch, kept an alert ear, not to miss any of their words. Mummi was a woman of a different era. In her day, people usually stayed married for appearances, divorce was rare. At least to my knowledge, she never had a job, but you never saw her sitting idly. She would always have busy fingers sewing, mending, crocheting or knitting. In fact, I still have carpets woven by her in our home today! How many modern products last for over 50 years? This rug was woven by my grandmother in the 60s, and still on my floor, as good as new! How about my mother then? The black and white picture was taken at the post office where she worked in a little village in the 50s. It was there that she also met my father. My mum was the oldest of two daughters. I have gathered that she was considered the less academically gifted of the two, so she had to finish school and start working at 16, whereas her younger sister was sent to university to become a primary school teacher. Nevertheless, my mum did a long career in the Finnish postal services, and gradually got promoted to higher and higher positions. She was a very ambitious, determined and hard-working woman. Later on in life, she went to several further training courses, and even got some higher education qualifications through the Open University. She never talked about it much but, in hindsight, I suspect that she probably resented not having had the same chances as her sister in her youth. Compared to me, the women of my mum’s generation, were expected to do everything themselves – work long hours, and then come home and start with the never-ending household chores. That was a woman’s lot, and it was also the women, themselves, who let these expectations determine their worth. My mum was a wizard in the kitchen, and would spend most weekends just baking everything from scratch, even most of the bread we ate. Naturally, she made sure our home was always spotlessly clean, all our clothes neatly ironed after wash, and bed linen washed, mangled and changed every three weeks. Later on, my parents were lucky to earn enough between the two of them, to afford weekly cleaning help, which was quite unusual in those days. All in all, though, it must have taken an awful lot of effort, running a family of five, especially as I and my two brothers were all born within five years. It seemed that my mum had inherited her father’s temperament, which wasn’t helped by her duty-bound life. She would often overstretch herself, and when tired, be bad-tempered, and in those moments not tolerate any nonsense from us kids. We were all expected to help a lot around the house, and she was also very particular about appearances and school performance, and took pride in showing off her well-behaved children, boasting about our achievements. Quite often this would be a real burden for us kids. I sometimes felt suffocated, and having to put on a front, never being accepted as the person I was becoming inside. Mind you, my mum also had her loving and affectionate side, and her hearty laughter still rings in my ears when I think about her. If I could go back to those old days, I would try to tell her to take it easy, not agonise over irrelevant appearances, and just enjoy life. Not that she, with her rather stubborn disposition, would have listened to me, or anyone! As for me, being the only girl, born in the middle of two boys, granted me a special place in my childhood family. I was the high-achiever at school, obedient and conscientious – the archetypical good-girl swot! I never dared to contradict my strict mother as that would have been totally unacceptable and disrespectful behaviour. However, I was clever enough to find my ways of secretly bending the rules, without her knowing. I was teased ad nauseam by my incorrigible brothers, but fought hard to defend myself against them. The two boys always ganged up against me, and it was invariably me who ended up doing all the chores set for us kids by our parents! Early on, I got passionate about learning languages, spending ages writing down the lyrics of foreign pop songs that I had recorded on old-fashioned cassettes, or dreaming about distant, exotic lands. Back in 1972, I watched the Winter Olympics from Sapporo, Japan on TV, spell-bound by the intriguing looks of Asian people. You see, in those days, foreigners were still a rare sight in Finland, especially in the small village where I grew up! Not even in my wildest dreams could I have imagined that in the future, I would personally get to know many of those fascinating Asians, and have the chance to even visit their countries. I guess my fate was sealed – no surprise then that I married a Brit and started a bicultural life of teaching languages, with lots of international contacts, work projects abroad and travel. I don’t think my mum saw this coming when she and dad paid for me to go on a language course in Eastbourne, England, when I was only 15! Maybe there is a “wandering gene” in my family women. Maybe that suitcase my grandmother is sitting on in that photo is a symbol of the women in my family? And it seems my daughter is continuing on this restless, wandering path, even more strongly as our world really has shrunk, with the ease of travelling, and finding opportunities online. In the two photos above, I and Rosie are about the same age, 23-24, both university students. There is a resemblance for sure, especially in our smiles, I think. Now at 25, Rosie is already an experienced world-traveller, thanks to us showing her the world in her youth but latterly, her own wanderlust has also truly surfaced. Not only has she studied in several countries already but she has just returned from a two-year stay in Taiwan, where she successfully taught English. Hopefully, one day Rosie will be become a mother, too. And I’m also keeping my fingers crossed that, unlike my mother, I will be able to be there when that happens. Motherhood is one of the most miraculous aspects of a woman’s life. Nothing in life quite compares to carrying your baby inside you for nine months, then giving birth and afterwards seeing a wonderful, new person grow and develop. At the same time, being a mother is one of the most daunting roles in a woman’s life. It involves lots of self-doubt and worry, feelings of inadequacy and fears of doing it all wrong. Been there, done that, and still, I wouldn’t change it for the world! I’m confident that I was able to ease off the rigid rules of my own mother but still, I can’t let go of the gnawing insecurity in my mind whether I was able to provide my darling daughter the love, support and encouragement my darling daughter needed and deserved. 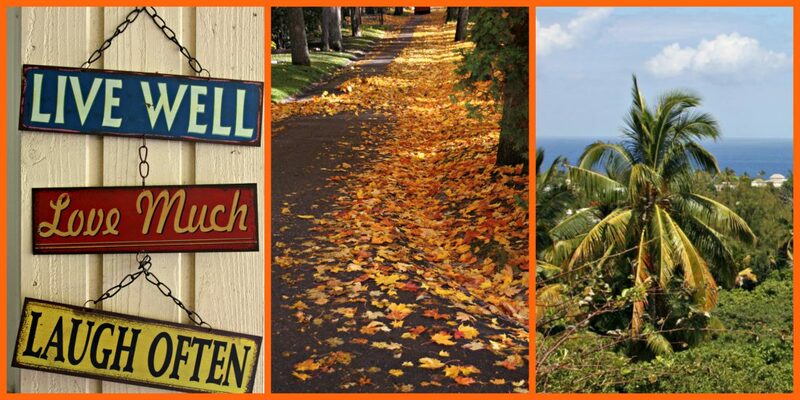 Looking at these four photos, I can see how, over the years, each of our lives becomes an inseparable part of the intricate family tapestry (or maybe woven rug in our case! ), with customs and traditions passed on from mother to daughter, and with each new member adding their own special touch to the emerging pattern. What’s more, in the big picture of things, these personal life stories beautifully reflect the history of your country, and the whole world. In four generations, the women of my family have turned from housewives of a modest, agrarian society, to globe-trotting, independent and empowered creatures, claiming more and more equal rights with the men in our lives. Categories: Life | Tags: celebrations, daughters, family, memories, mothers, spring | Permalink.